The applicant, Thomas K. Russell, Jr. is seeking a conditional use permit to operate a laydown yard and truck hauling facility, on the following described property containing approximately 3.00 acres. The property is located on the east side of Route 1 at 7111 Chrystal Ln. (a private road), North Dinwiddie, VA, and is further designated as Tax Map No. 21-74I. The property is zoned A-2, Agricultural General, which may be changed to allow such use upon receiving a conditional use permit. The County’s Comprehensive Land Use Plan places this property within the Urban Area which allows commercial, service development at the Ordinance defined density. Proposed Amendment to the Dinwiddie County Zoning Ordinance, Adding Article IV, Division 2 – Agricultural, Limited, District A-1, Section 22-60.1 – Maximum Density & Division 3 - Agricultural, General, District A-2, Section 22-71.1 – Maximum Density and Proposed Amendment to Chapter 18, the Dinwiddie County Subdivision Ordinance, Amending Article 1, Section 18-3 - Definitions. 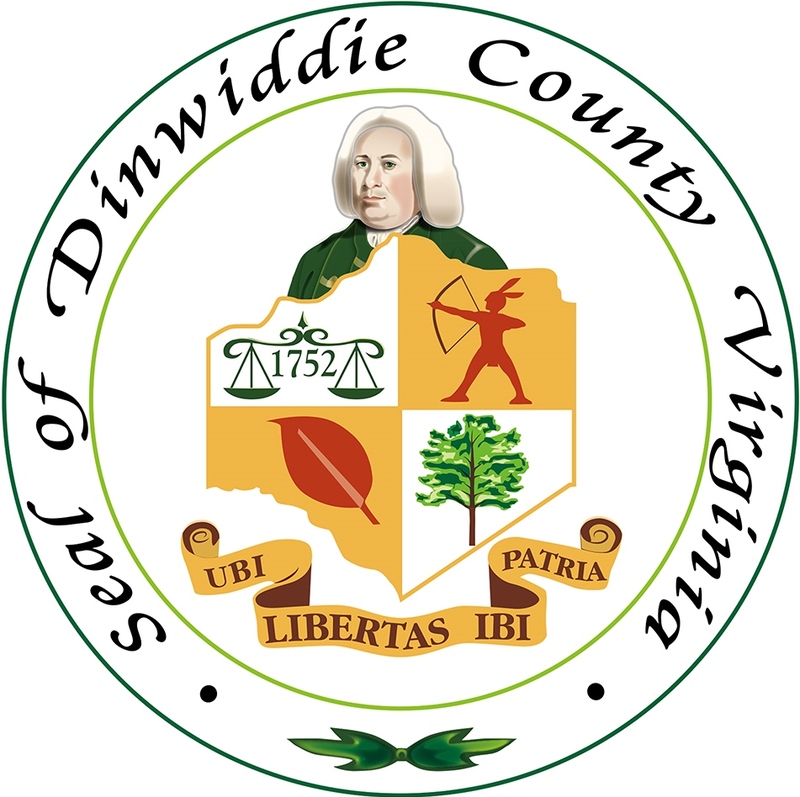 The applicant, Dinwiddie County, is amending the Dinwiddie County Zoning Ordinance by adding Section 22-60.1 – Maximum Density in the A-1 Zoning District and Section 22-71.1 – Maximum Density in the A-2 Zoning District to include the sliding scale density thereby defining the maximum number of new lots that may be created from a parent parcel in the A-1 and A-2 Zoning Districts. Dinwiddie County is also amending the definition of subdivision in Section 18-3 of the Dinwiddie County Subdivision Ordinance to delete the requirement that proposed residential subdivisions must be zoned in a residential category and to add that all parcels resulting from the subdivision or division of land must comply with the maximum density allowed within the applicable zoning district, to exempt family divisions from the maximum density requirements, and to delete the paragraphs (5) and (6) which define the date for a land parcel of record to be exempt from being defined as a subdivision. After the public hearing, changes may be made to the ordinance, as appropriate.